Our guesthouse is bordered along the garden of the Witrokken. It dates from the 19th century labours cottage, a pleasantly furnished guesthouse, for 2 to 4 persons. 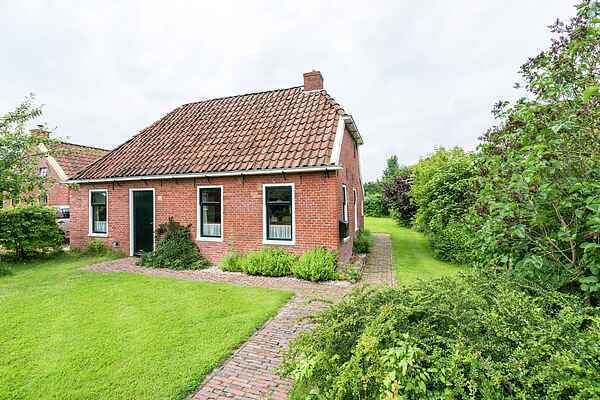 The cottage with romantic old pear trees is located in a peaceful street, has its won parking area, a bicycle shed, a garden with terrace and view over the North polder. Warffum is a town with the basic provisions and open-air museum The Hoogeland. Trips are; The region The Hogeland' with monumental farms, wierde towns, old medieval churches, big views and outstreched corn fields. Winsum (childrens books museum), Pieterburen (Zeehondencrèche), wqding in the mud flats trips, Houwerzijl (tea nmuseum), Noorpolderzijl (picturesque fishermens harbour). The nationaal park ' Lauwersmeer', Schiermonnikoog, Borkumlijn and the town Groningen (22km).